When a Solicitor or other Lawyer is negligent and causes further legal problems for their Client we are often called upon to help and assist resolve these legal problems and if we are able to do so we usually go on to pursue a professional negligence claim against the Solicitor or other Lawyer on a no win no fee agreement Although helping you extract yourself from a bad position caused by your previous Solicitor cannot be funded on a no win no fee basis (as then we would rarely get paid for this work) our costs incurred in resolving the legal problems can be claimed in full as damages in the professional negligence claim, which if it satisfies our funding criteria could itself be funded on a no win no fee basis. Sometimes it can appear that your situation is hopeless if your Solicitor has left you at the mercy of a third party with no funds to defend your position. In these circumstances if your professional negligence case is strong enough we may agree to help resolve the legal problems without receiving all of our costs in advance for the additional private work in the knowledge that if they are not paid by the time that the case finishes we can deduct those costs from your damages (which will include the claim for our costs for the remedial legal work) at the end of the professional negligence claim. Bringing proceedings for rectification or damages or to establish property rights against a third party where this is reasonable to reduce or mitigate your loss Resolving or attempting to resolve issues as to the title to a property. Conveyancing costs incurred in selling property affected by a Solicitor’s negligence. Bringing or concluding proceedings caused or harmed by your Solicitor’s negligence. 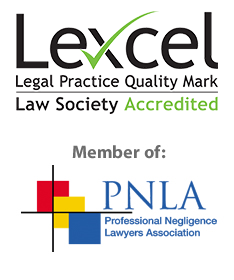 As these cases are often complex it is equally important to choose a Solicitor with sufficient know how and experience in similar matters and the related professional negligence claims against Solicitors to ensure that you receive the right help and guidance and to achieve the best outcome for your case. We have extensive knowledge and over 30 years experience when it comes to nearly all of these legal matters, including complex litigation and property and conveyancing matters. In addition our team specialises in professional negligence claims against Solicitors and other lawyers, and we have over 25 years experience in pursuing professional negligence claims against Solicitors and other lawyers. Usually this type of remedial legal work needs to rely upon a viable professional negligence claim, which hopefully we can also pursue on your behalf on a no win no fee basis to recover your losses including our costs in doing the legal remedial work. In addition to the expertise of our Solicitors we are able to rely upon the additional expertise of specialist Counsel and other experts appropriate for your case, from our contacts built up over many years. We have a lot of experience in complex cases, which means that whether your claim involves your claim will be in safe hands. We realise that legal costs can be a great worry when you need help and support from a Solicitor which is why we offer a free enquiry which will allow you to contact us via telephone or email without obligation to ask any questions that you may have, address any concerns or to discuss your specific needs and the best way to move forward. If you decide to move forward with us we will provide you with a written estimate of the likely costs involved at the same time as dealing with the prospects of recovering these costs within a professional negligence claim.